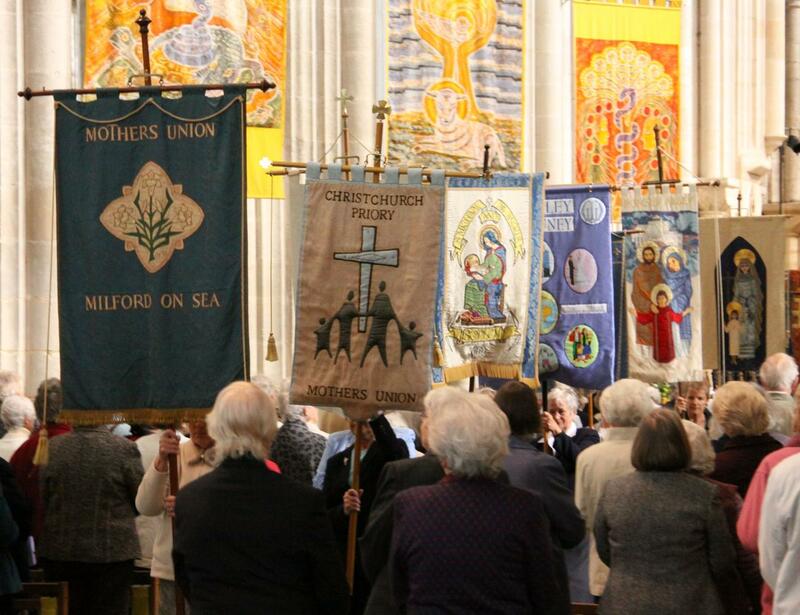 Mothers’ Union banners are often seen in churches around the country. The older ones tend to show lilies, and/or a representation of Mary with Jesus. The more modern one’s often reflect images of modern family life, perhaps combined with the work Mothers’ Union undertake’s overseas. However in Minstead, the church I grew up attending (where sadly there is hasn’t been a Mothers’ Union group meeting in my lifetime), the banner is rather different. For me it is quintessentially Minstead, and certainly reflects the surrounding countryside of the New Forest, if not it’s family life – though there will be local families who were raised under the spreading arms of an oak tree! 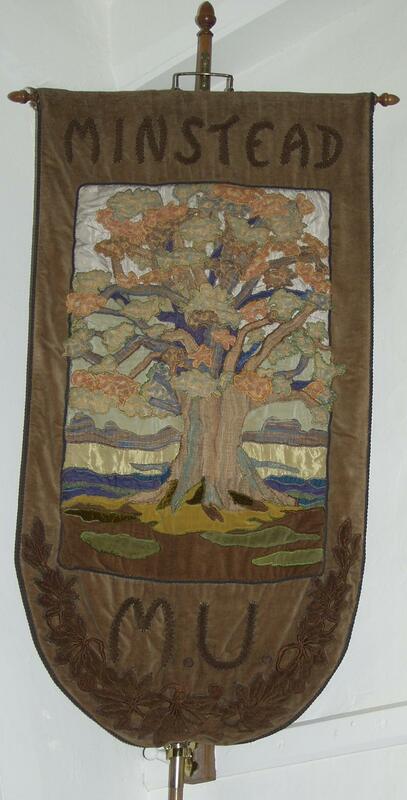 The banner was made in the 1930’s and was designed by Mrs Horton the wife of Revd Henry Horton (who was vicar of Minstead from approximately 1933-1943). It was the gift of Sybil White in memory of her late husband Isaac who died in 1933. Sybil was still alive when I was a child, still living alone in the cottage she’d lived in since her marriage, but actively involved in village life especially playing the piano for things like the Queen’s Silver Jubilee celebrations when all the children in the village maypole danced on the village green. She died in 1985.